I recently came across photos of our visit to Birr Castle which we visited in late 2013 and I had to share our experience of it. 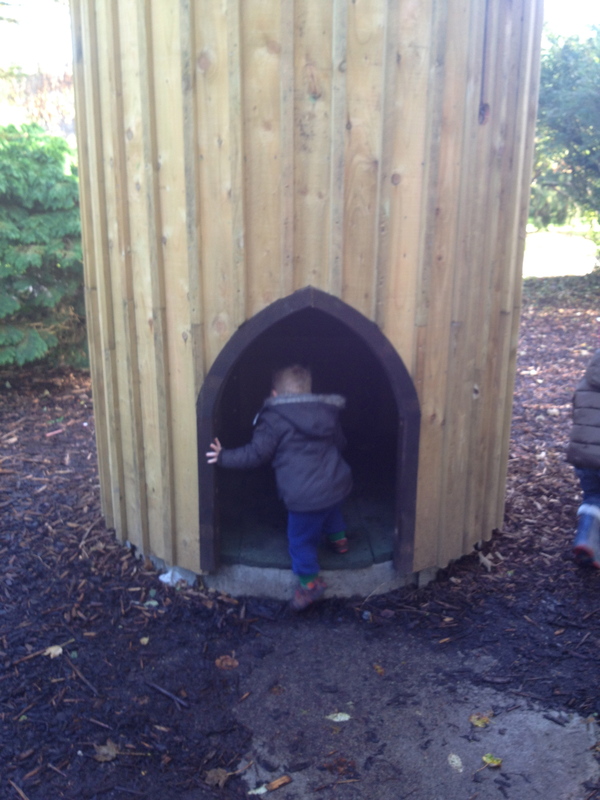 It still has to be on my top 10 places to bring kids and it was somewhere I hadn’t heard of before, we just kind of stumbled across it while staying in nearby Roscrea. It was a cold but dry and bright Winters day when we visited Birr Castle and it was very quiet with only a handful of visitors strolling in the gates. The admission price was €9.00 per adult and €5.00 per child, with kids under four going free. First stop upon exiting the door at the back of the foyer is into the gardens and I think I may have been more excited than the kids when I spotted this sight. Immediately my inner child emerged and I practically ran to get into it. 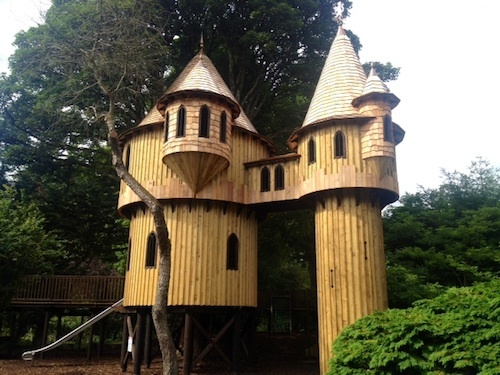 It is the biggest treehouse in Ireland and is truly an awesome structure. You can get into it through a couple of entrances, one being the wooden bridge connected to the magnificent sprawling tree, which leads to a veranda outside the house. At the entrance to the treehouse there is also a slide. 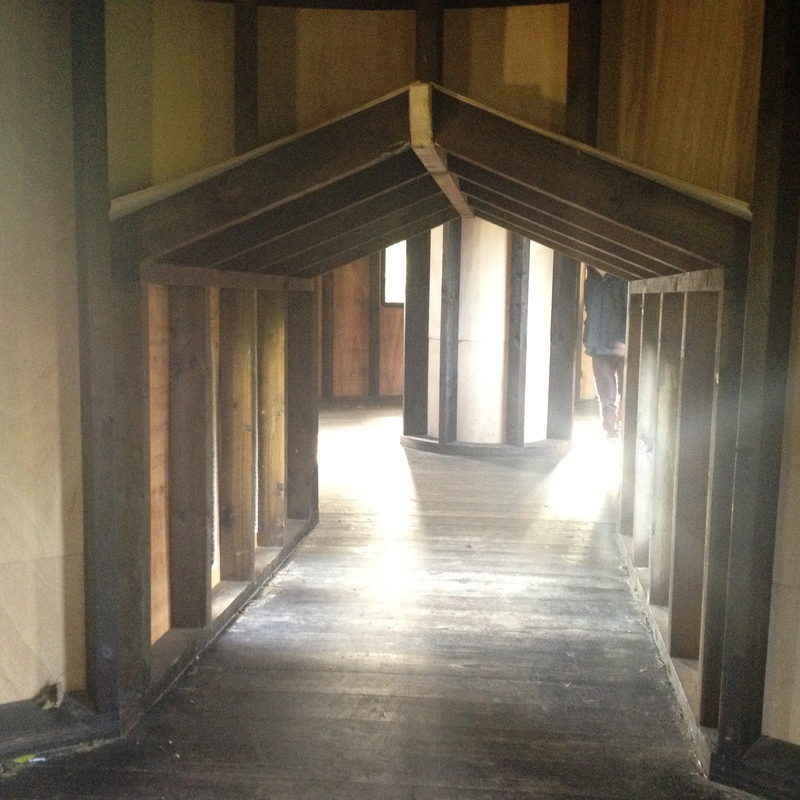 The other way in is through the tower entrance which has a little door and you can climb the tower via wooden panels. 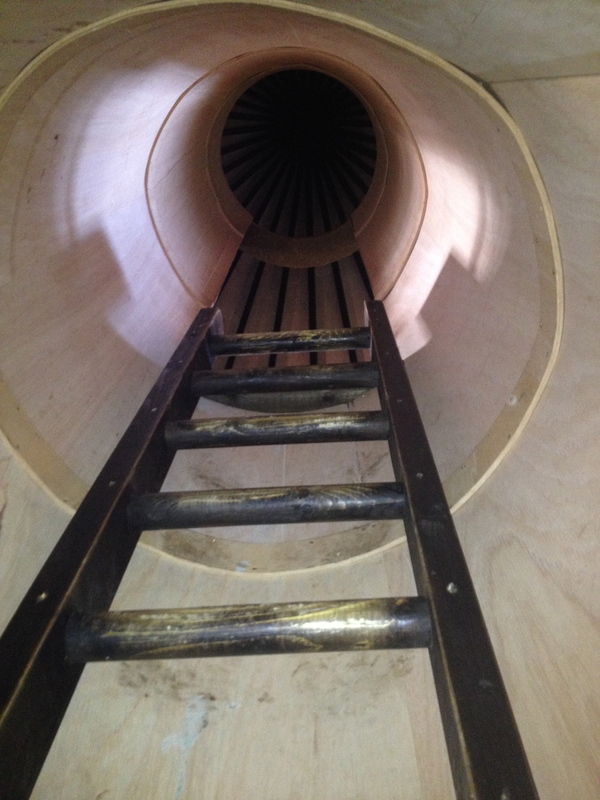 Inside it you can scamper up ladders to get to the first floor circular room and across the landing into the tower part of the treehouse which you can climb back down again. It was so much fun. Just beside the treehouse is a sandpit and a jumping pad for kids which kept them busy while we had a bite to eat and a few moments to sit and enjoy the surroundings. After a little picnic it was then time to explore the rest of the gardens and castle (I would have been happy to stay at the treehouse all day but we moved on). There are lots of different woodland walkways to choose from and we discovered an enchanting waterfall along one. 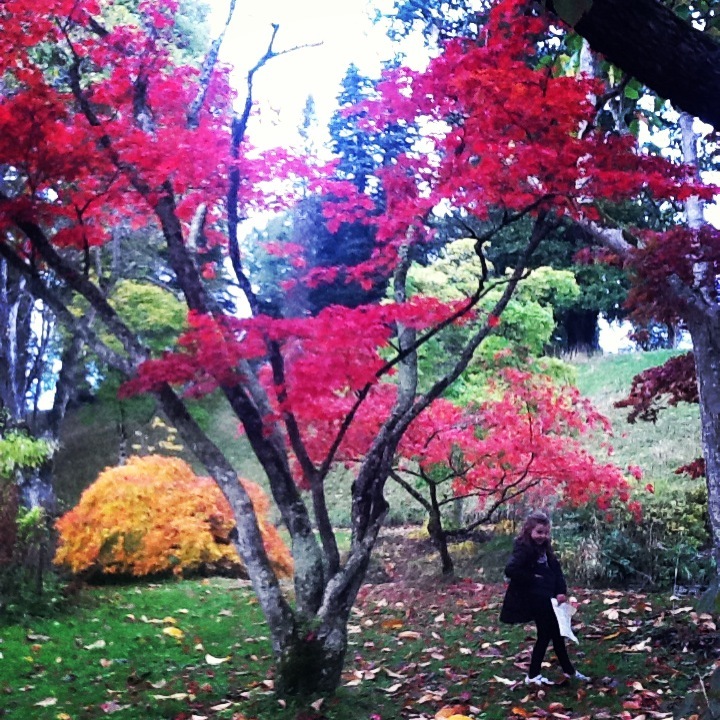 The colours in the gardens in early Winter were so pretty, so vibrant. Chloe was delighted to be in charge of navigation, not letting anyone get a hold of the map. She guided us through the trails, letting her imagination run wild with stories of fairies and goblins along the way. It’s nice to give the kids the freedom to decide which way to go, to use their imagination and explore in their own time. We stopped off at the Great Telescope on the way back to the castle. In the time of the Earls and Countesses of Rosse Birr Castle was a hub of scientific discovery and the Great Telescope dates back to 1840. It used to be the largest in the world and was for some time. Then our final stop was the science and discovery centre which is located inside, rather timely as it rained heavily shortly after (this being Ireland of course!). After a great day out we enjoyed a nice pub dinner beside an open fire to finish the day where Chloe excelled at being big sister and showed Sean how to play some iPad games., him reveling in his idol’s attention. 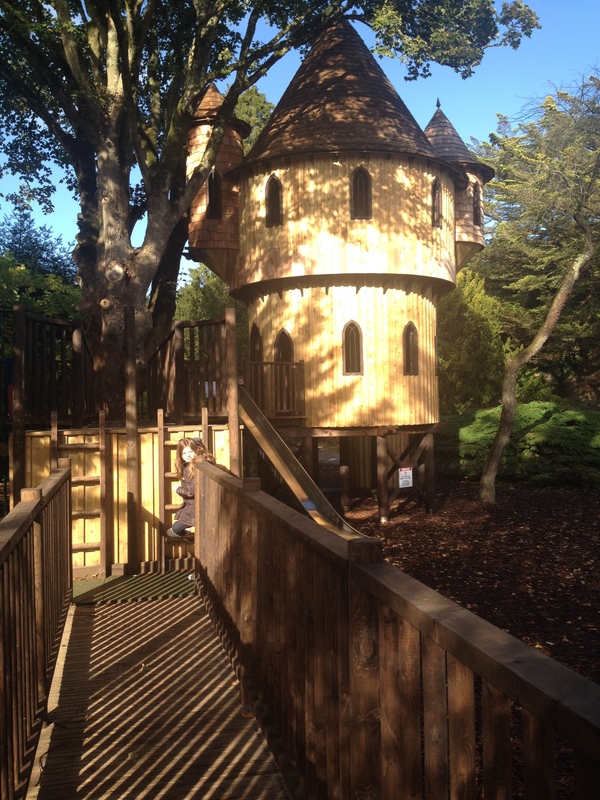 The treehouse adventure in Birr Castle sticks in my memory as one of the best days out we’ve had out as a family, it’s good value for money and we’re definitely going to return this year. Next Post 5 apps to help busy mums! It’s a great place for kids!! My lot loved it too when we visited last year. It’s def worth a visit. This looks awesome, must put it on the to visit list this summer.